Upon arrival at Geneva Airport, the fastest, easiest and cheapest way to get to Lausanne is via train. 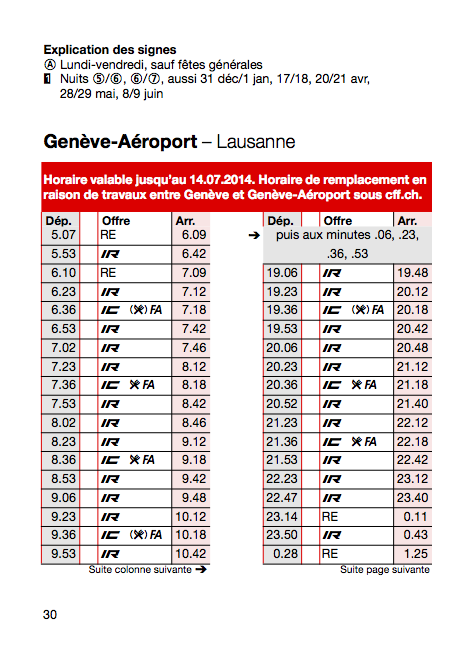 A one-way ticket will cost you CHF 26.00, as opposed to a taxi at around CHF 250.00. The Geneva Airport train station is located in the airport itself, and there are signs that will guide you from the arrivals area. There are a number of ticket machines available for you to use at the station, offering service in English, as well as personal service at the ticket counter during daytime hours. 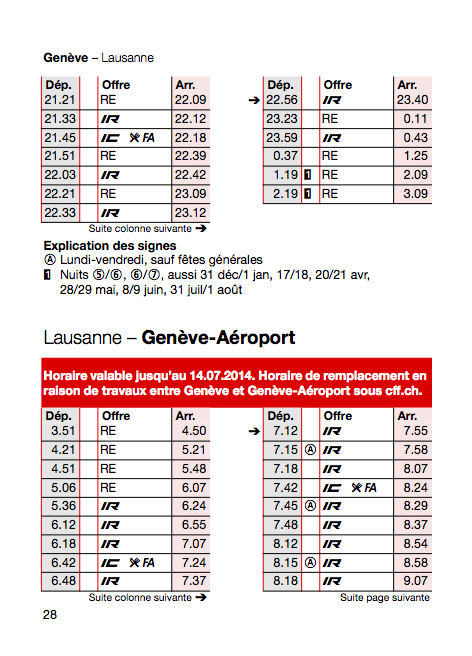 We have included the train schedules below, both directions between Geneva Airport and Lausanne. You will be receiving a Lausanne Transport Card for the duration of your stay, provided to you by your hotel at check-in. Please be sure to keep this with you at all times when using the metro and bus. It is valid for the greater Lausanne region only. 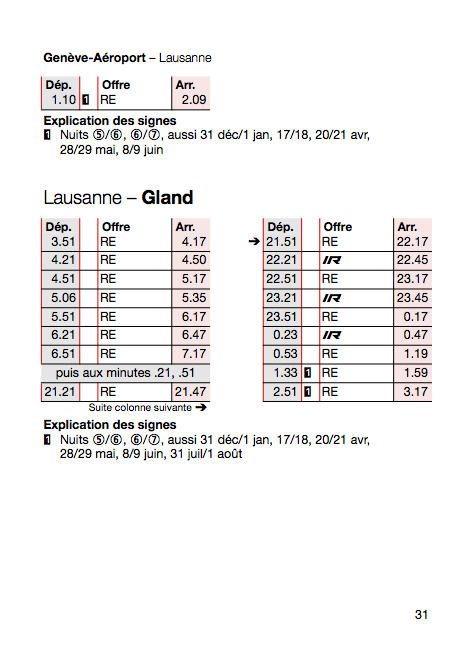 Due to important maintenance work taking place on the M1 Metro Line, travel will not be possible between the Lausanne-Flon and UNIL-Dorigny stops from July 7 to August 24 inclusive. 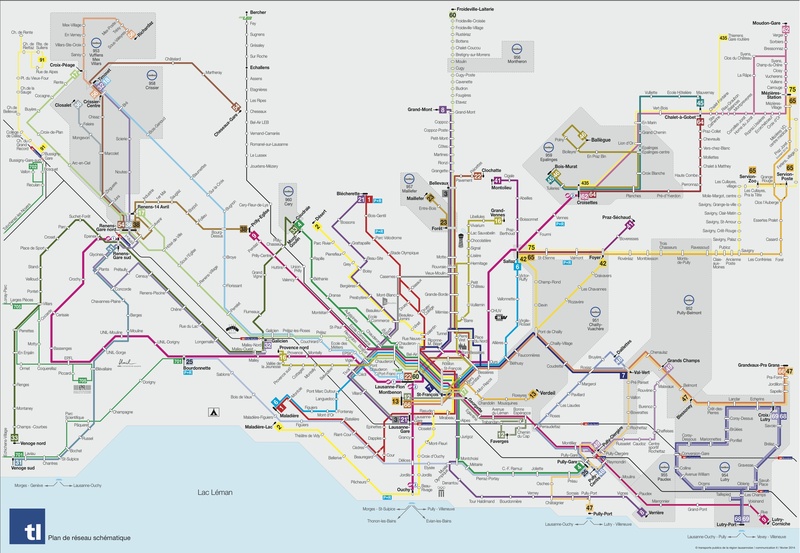 During this period, a replacement service by bus will cover the affected section of the line, and detailed information will be available at each closed metro stop. The M1 Metro will operate normally between UNIL-Dorigny and Renens-Gare, in both directions. Catch the train at Lausanne-Gare (main station) to Renens-Gare, then the M1 Metro to the EPFL stop (for the Swiss Tech Convention Center and/or Rolex Learning Center) or to the UNIL-Sorge stop (for Amphimax and Amphipôle). 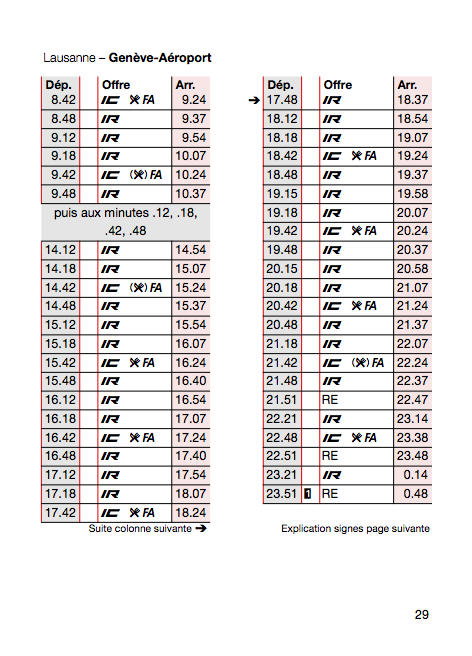 Depending on train/metro departures, the timing should be between 12 and 20 minutes from Lausanne to either EPFL or UNIL-Sorge. There is a replacement bus service covering the closed portions of the M1 line, which will be leaving Lausanne-Flon every 6 to 10 minutes. However, these buses run the risk of being overloaded during peak hours (morning and early evening), so we recommend that you allow 45 minutes if travelling this way during those times. 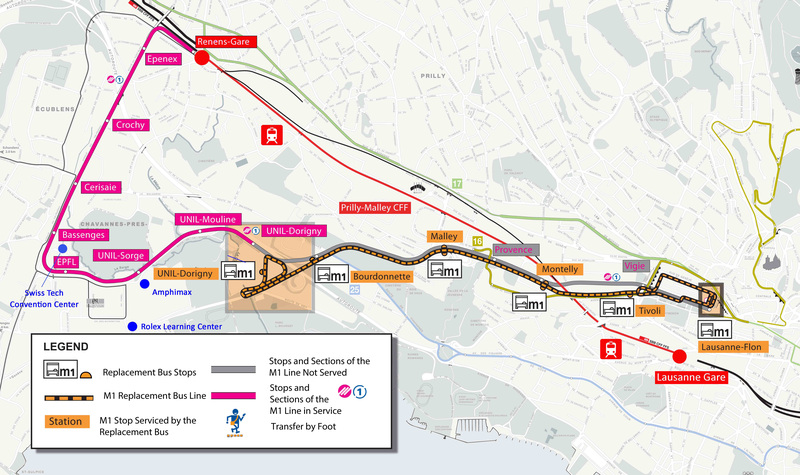 If you arrive in Lausanne before the start of the conference, the M1 Metro will be operating normally across the entire line on July 5th and 6th.